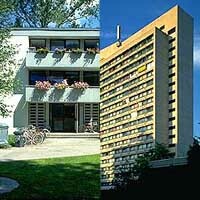 The student housing facilities are all located close to bus or subway stations with a good connection to the university, which is located near Munich’s downtown area. All students are accommodated in their own private room. Most of them are in shared apartments with shared kitchen and bathroom, and some are self-contained single apartments. You will be provided with sheets and blankets, which can be washed at one of the laundry rooms in the building. Towels and kitchen utensils (cutlery, cups, plate and pots) will not be provided. We ask that all participants acquire these items according to their own personal needs. All student residence have special washrooms with washing machines and dryer, so students can wash their personal clothing. Please also be aware that the rooms are only of a very modest standard. Furthermore please note that we will not be able to inform all participants which room they will be allocated prior to their arrival in Munich. The summer language course of the LMU starts on August 5 and ends on August 28. The latest possible departure date is 29 August, at the latest at 10.00 am. We request that you arrive on August 3 so that you have enough time to settle in, to get to know the other participants or start exploring the city. Please come to the meeting point on August 3 between 2.00 and 7.00 pm to check in. All participants will get detailed arrival information and the meeting point in the beginning of July. During participants stay, they will be responsible to provide their own meals. 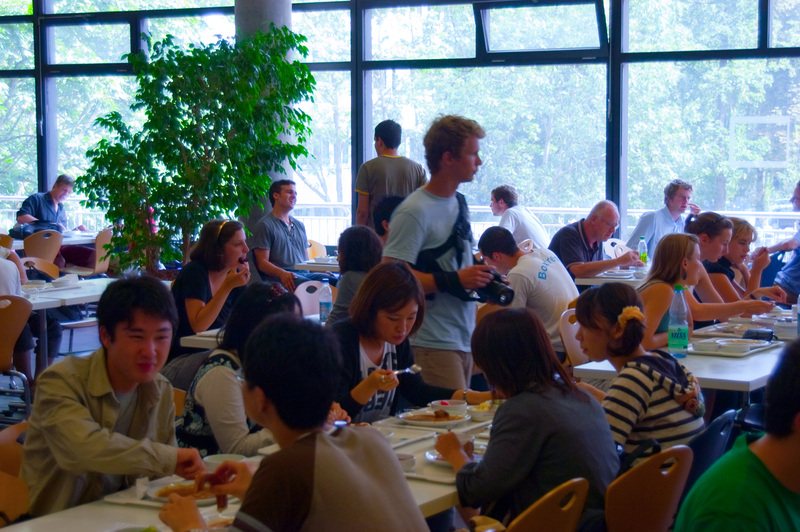 During the week lunch can be purchased at one of the university’s cafeterias for € 3-5. If participants want to use public transportation during their stay in Munich, we recommend a monthly pass called 'Isarcard'. For more information and prices, please consult the website of the MVV the Munich public transportation authority. It is highly recommended to buy the tickets after arriving in Munich, because the price depends on where they live. Participants should remember to bring any supplies they may need for enjoying Munich’s outdoor bathing culture. Munich is famous for its beautiful sun bathing areas and lakes, including the 'Isar River' flowing directly through Munich, ensuring that the city is a beautiful place to enjoy the summer.